Western Canada’s leader in sound production, staging and lighting services for any size concert or event. PB Pro-Audio & Lighting offers audio, video, lighting, backline and staging for corporate, public sector special events, touring, festivals, sporting events and dry hire. PB Pro-Audio & Lighting also has a highly trained technical team to install permanent audiovisual and lighting systems for markets including corporate, education, theatre, houses of worship, hospitality, and event facilities. Nickelback ♦ BB King ♦ The Whalers ♦ George Canyon ♦ Bruce Cockburn ♦ Big Sugar ♦ Big Wreck ♦ Many More! PB Pro-Audio & Lighting recently deployed their Electro-Voice XLD281 super-compact line array system for the 2008 British Columbia Winter Games. 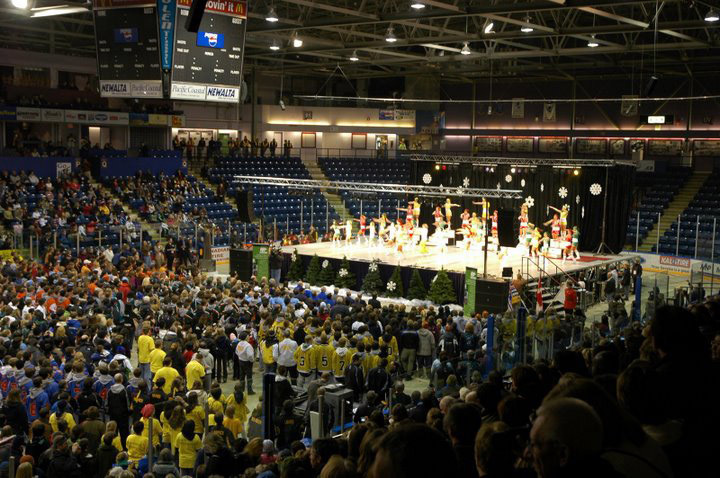 Held at the end of February in the Rocky Mountain cities of Kimberly and Cranbrook, BC, PB’s streamlined, high-performance PA handled sound for the opening ceremony, awards, and live performances held in the Cranbrook Recreation Complex, the main venue for the games. “The XLD delivers remarkable performance for its size,” says Ben Blomander, owner, PB Pro-Audio & Lighting, “balancing sonic intelligibility and precise coverage with plenty of power handling when needed.